Initial Consulting Fee varies between AUD$100 to 400 or more depending upon complexity of case and time taken for explanation of immigration matters. Initial Consulting Fee AUD$100 for half an hour brief consultation; AUD$200 for one hour consultation; and AUD$400 for Expert’s Advice consultation. Someone who wishes to have visitor visa or student visa or parents visa consultation in brief, half an hour consultation would be enough for A$100; however, someone wishes to know more detailed information about meeting will all the criteria of such visas or skilled migration or regional skilled migration or temporary work visa, that person would need at least an hour to discuss the matter and our consulting fee would be A$200; and when someone faces complex situation either due to refusal or cancellation of visa because of fraud or bogus documents, or providing wrong information to Department of Immigration or condition 4020, appeal rights, or ministerial appeal, detention or such complex situation, it would be better to have expert’s advice at A$400 which will give you clear pathway to deal with Dept of Immigration or Appeal Authorities; and expert’s advice will also save you thousands of dollars because govt. 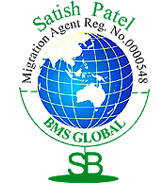 fees of visas are very high now and many unscrupulous elements in migration industry have been lodging applications without informing applicants that whether they meet criteria or not for that subclass of visa application. Many East Europeans or people of other countries of Europe as well as people from the Middle East countries have been facing difficulty in communicating in English or fill in forms or writing letters to Dept of Immigration in English. They feel frustrated and end up in negative reply for their visa applications. We do assist such applicants and their relatives living in Australia and we provide them such services in the range of AUD$200 to 500 depending upon time taken to explain them the matter of their visa applications, documents required to meet the criteria or writing letters in English. This service is very useful to those who wish to apply for visitor visa or student visa for themselves or for their relatives living abroad. If we carry out such applications on behalf of applicants from beginning till lodgment and final outcome our charges for visitor visa or student visa will be in the range of A$1,500 to 2,500 plus all Govt. Visa Fees and other costs associated with such applications. If you wish to either study or work temporarily or migrate to Australia on skilled or business ground, we believe you must take initial consulting either from Dept. of Immigration or Registered Migration Agent. Initial consulting will be the best way to know your options well in advance to plan your journey or destination. We charge small amount of fee to provide you initial consulting. Our consulting fee varies case to case and depends upon complexity of case. It would be best to take initial consulting as soon as you arrive in Australia or before making any major decision while you are overseas. If you were to be in Australia, please do not wait till your expiry date comes too close where you would not be able to proceed further. We may give you an example. Person A had come to Australia, honestly completed his Degree, received job in his career field, but even after working a year or more with the employer, the employer does not wish to sponsor him/her. If this person A turns up for initial consulting today and his/her visa is expiring tomorrow, what would be benefit of initial consulting. Had person A had turned up for initial consulting say a year ago when he received job in his career, he/she would have been benefited a lot by initial consulting. Person A was not able to score required IELTS score to reach passing points for skilled migration though he was able to score good number of points on his degree, study & occupation, age, study in Australia and work experience in Australia. What would be options for him/her to settle in Australia? Had this person A come earlier and prepared him/herself earlier, A would have had options for state sponsorship where A was working; also would have option for state sponsorship from other state where A’s occupation was listed on demand, or would have continued further study or would have received employment sponsorship from other employer because A’s had studied in Australia, A was young enthusiastic person, A had work experience in Australia, and all these would have given A options for migration to Australia had A been to initial consulting well in advance. 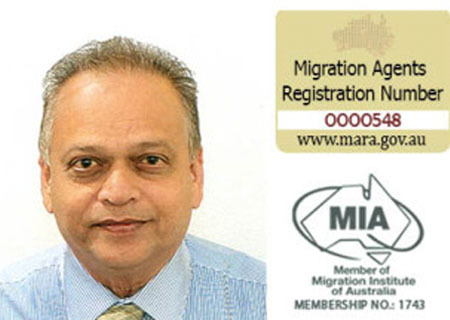 So could be the case for Business Migration, marrying Australian Citizen, further study or doing Ph.D., or finding suitable employer…in short…options could be many had the visa holder been aware of his/her options well in advance. A small fee for initial consulting will go long way if you really wish to have opportunities in Australia. Please do not wait till expiry of visa as otherwise last moment you will lose all your options for migrating to Australia. • Most recently introduced Significant Investment Visa for those who can invest $5 million in Australia in designated investment (most suitable to those Neo-Rich who have been looking for a life style living in Sun & Sand, living at Sea Beach, Surfing in sea, Travelling, Sports & Recreation, Living in Multicultural Society where people from about 200 different nationalities have made their homes in Australia, All kinds of Foods and so on………..no end of luxury in Australia). Govt. Visa Fees are sky rocketing, Online Lodgement of Visa Applications is now available for some visa types. Visa applicants always wish to minimize costs and now it has become a necessity because Govt. Fees have gone up skyrocketing. Govt. Fees go up every year but in recent past it has changed frequently. Think about Govt. Visa Fee for Partner visa which is currently A$6,865 and will go up by next year in 2017. Think about Student Visa Fee and suppose if you have applied another kind of temporary visa in Australia you will have to pay visa fee plus $700 and think about including your partner and children in your application the total fees will be skyrocketing, So is the case of all other kinds of applications. Previously one govt. visa fee was including self and family members including partner and children but now you have to pay visa fee for self, plus your partner, and also for each child included in application meaning by everyone included in application has to pay govt. visa fee. First, you must seek Initial Consulting where you would be eligible to apply a particular kind of visa while remaining in Australia or you will have to go outside Australia. Initial consulting would not costs you much would certainly save you thousands of dollars in govt. visa fees and agent’s fees if you have engaged an agent to process your application. (h) Finally what would be charges for follow up till outcome of result. Thus, split services would certainly save you thousands of dollars for processing of your application. So could be the cases for other applications such as Partner visa, Student Visa, Child Visa, Regional Skilled Migration, Temporary Work Visa, Employer Nomination Visa and other applications. One thing to strictly remember that Australian Laws are COMPLEX and CHANGING frequently, and if you do not understand requirements in English or if you cannot interpret immigration laws and if you are really very poor in English language then it would be advisable to ask Dept of Immigration and get information as much as you can or engage an experienced registered migration agent for your visa processing application. When you meet an agent and talk to agent you should feel that you have come to right place and in those circumstances even if you feel charges are higher than other agents you should engage such an agent who asks for price to carry out your work in committed and dedicated manner. Many agents operate cheap prices to attract more clients but when clients number go up then Dept. of Immigration will scrutinize each application in a thorough manner where by chances of rejection becomes very high. However, those agents you feel costly, may be submitting only handful of applications but would surely pay attention to each requirement of visa application and would bring in positive results for you. Cost Minimisation is real issue but side by side receiving positive result is also very important because millions of people from all over the world wish to make Australia Home but Dept. of Immigration will grant visas only to those whose applications have been found genuine, and meeting with all requirements of grant of visas. Please feel free to discuss with us at any time suitable to you regarding price matter for processing of your visa applications and we will consider and give you as much concession as possible.